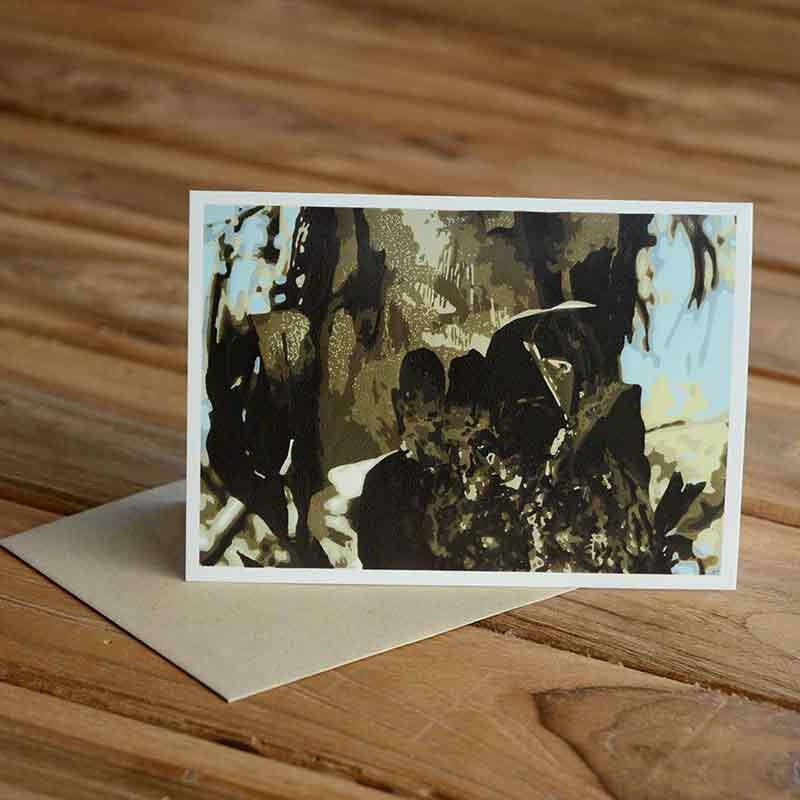 A6 greeting card, blank inside. 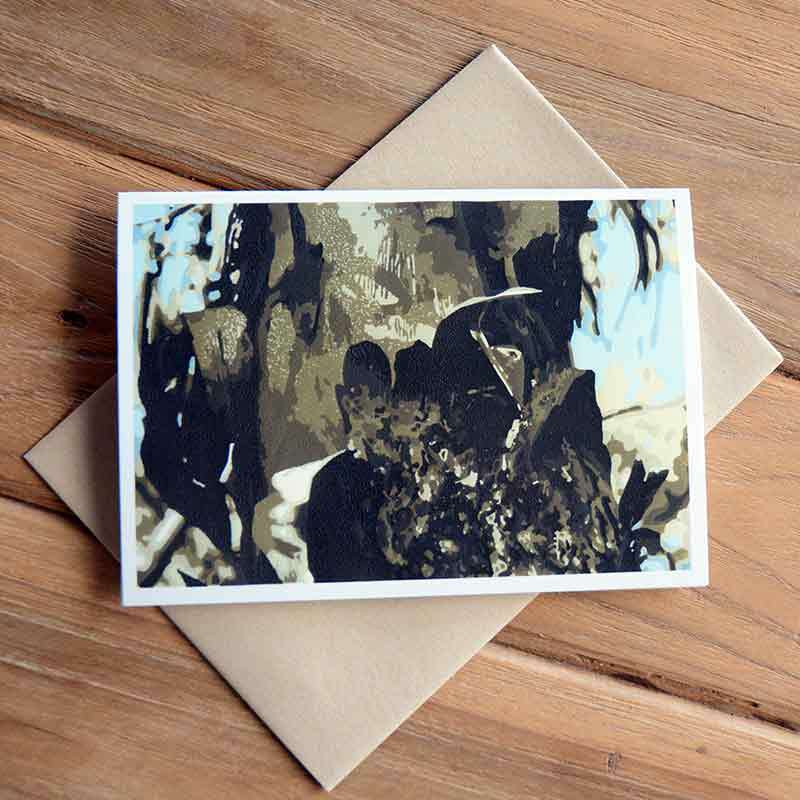 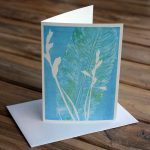 Available individually or in packs of 5 or 10 cards, all with matching Kraft envelopes. 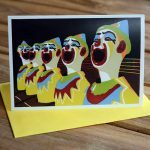 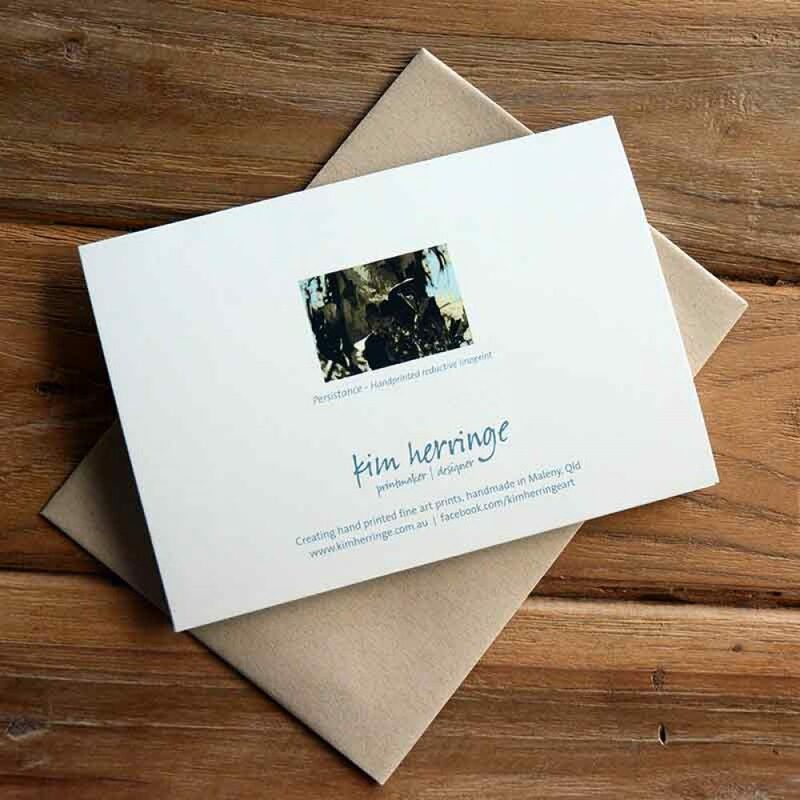 The image on this card is taken from a 8 colour reductive linoprint “Persistance”, handprinted by Kim Herringe, professionally reproduced on quality gloss card. Printed on 300gsm gloss white card with a matching Kraft envelope. 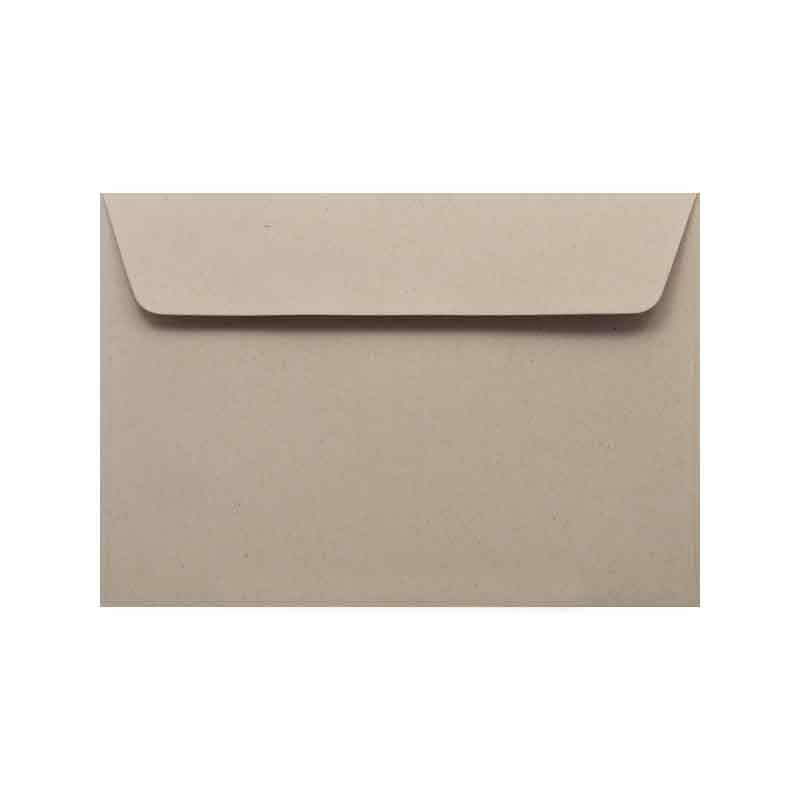 The envelope is 30% recycled brown 104gsm Kraft wallet style with a peel and seal closure, size C6 (114 x 162mm).